LONDON (Reuters) – European shares tumbled again on Monday as a profit warning from online fashion retailer ASOS sent retail stocks spiraling down as investors fretted that consumers are failing to deliver the traditional pre-Christmas spending boost to markets. Euro zone stocks () were down 0.5 percent while Germany’s DAX () fell 0.2 percent and Britain’s FTSE 100 () lost 0.3 percent. ASOS (L:) shares plunged 36 percent after the British online fashion retailer cut its forecasts, saying November was “significantly behind expectations”. It was the latest in a string of profit warnings and negative outlooks from retailers including Sports Direct (LON:), Dixons Carphone (LON:), and Bonmarche highlighting poor performance in the crucial pre-Christmas trading period. Shares in Zalando (DE:), a German rival of ASOS and Europe’s biggest online retailer, fell 16.8 percent, the biggest fallers. The selling had wiped 1.3 billion pounds off ASOS’ market cap and 1 billion euro off Zalando in the first 30 minutes of trading. ASOS peer Boohoo (L:) fell 18 percent at the open, before recouping some losses after it reported record Black Friday sales. It was last down 9.8 percent. Swedish retailer H&M (ST:) fell 3.8 percent despite reporting in-line sales figures, as the Asos stress spread. Next (L:) and Marks & Spencer (L:) fell 3.7 percent and 2.4 percent. Europe’s retail sector () fell 1.3 percent, the worst-performing and hitting its lowest level since July 2016. M&A also drove some big moves with Ingenico (PA:) tumbling after it said it had dropped talks over a possible deal. The stock fell 5.7 percent to its lowest level in five years. 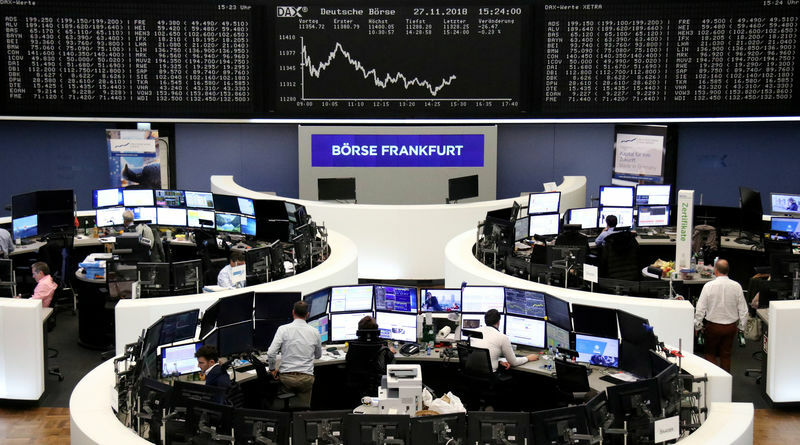 Leading euro zone stocks and Britain’s FTSE 100 were all set for their worst quarter since 2011, when the region was in the throes of the sovereign debt crisis. Investors smarting from a tough year also had a week of central bank events looming with meetings of the U.S. Federal Reserve and the Bank of England likely to move markets.